Do you need to find a specialist prefabricated building supplier? Are you interested in buying a prefabricated building? Have you considered getting in contact with Modular Direct? Modular Direct's ethos is the very essence of the service that they provide, ‘we create space’ is both the motto and business approach. Modular Direct is your number one supplier for prefabricated buildings. 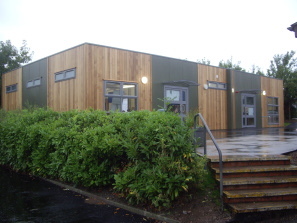 Modular Direct can provide a modular building with multi-application uses from offices and classrooms to changing facilities. Buildings can be sourced within timeframe and budgetary requirements. If you need to find a prefabricated building supplier, Modular Direct will make sure that you find the space you need and fast! Whether the solution required is long, medium or short term, Modular Direct will have the right solution for the problem. Modular Direct has nearly 30 years experience in the prefabricated building sector. This experience can be found in the expert advice from the Modular Direct team. The team will make sure that you find the right solution for the right price!